Safe and healthy workplaces are often taken for granted in the United States. But today’s safety-conscious factory floors and well-lit offices are a relatively recent invention of modern society—a direct result of efforts made by those working in the field of occupational health and safety. Dedicated to studying and preventing workplace injuries and illnesses, the field of occupational health and safety is responsible for the overwhelmingly-positive outcomes achieved for American workers over the past 200 years. Dangerous machinery and poorly ventilated factories, once commonplace, have made way for safer, cleaner environments for employees. The combination of legislation, executive branch regulation, and self-regulation by responsible businesses has transformed the American workplace. As result, accident and fatality rates across most industries have dropped steadily for decades—a trend that continues even today. Occupational health and safety is the field of public health that studies trends in illnesses and injuries in the worker population and proposes and implements strategies and regulations to prevent them. Its scope is broad, encompassing a wide variety of disciplines—from toxicology and epidemiology to ergonomics and violence prevention. Historically, the focus of occupational health and safety efforts have been on manual labor occupations, such as factory workers. But the field now encompasses all occupations in the United States. In addition to ensuring our work environments (from construction sites to office buildings) have safety precautions in place to prevent injuries, experts in occupational health also work to limit both short- and long-term hazards that could lead to physical or mental illness now or in the future. More than three million people suffer some kind of serious work-related injury or illness every year in the United States. Millions more are exposed to environmental health hazards that could cause issues years from now. Workers' compensation claims total more than a billion dollars a week. That doesn’t even account for the loss of wages and other indirect expenses, such as decreased productivity and the psychological toll of experiencing or caring for someone with an injury. With the exception of self-employed individuals and relatives of farm workers, nearly all employers both private and public have a social and legal responsibility to establish and maintain a safe and healthy environment. Some are happy to comply for ethical reasons or because injuries and illnesses can lead to lost productivity, turnover, and higher employer-subsidized health insurance premiums. It is common for larger employers to establish their own workplace health and safety initiatives that exceed regulatory requirements. The idea that workplaces in the United States should be required to adhere to a minimum set of safety and health standards isn’t all that controversial—but it wasn’t always that way. Working conditions for the average American have improved in fits and starts over the last 150 years, with major economy-altering safety legislation passed and a steady stream of various lesser regulations enacted under both major U.S. political parties in recent decades. In the wake of the Civil War, factories started to crop up all across the United States. Often staffed by young, highly inexperienced workers, the factories were perilous places to work. Stories compiled in an 1872 report by the state of Massachusetts’ Bureau of Labor detailed many grisly incidents where workers lost limbs or were killed due to inadequate equipment and physically demanding tasks. In addition to the dangerous equipment and machines, the facilities were dirty and poorly ventilated. Opening windows would reportedly disrupt the materials inside the factories, so they remained closed, leaving workers to breathe in chemical fumes and accumulated dust day in and day out. In response to the 1872 report and compiled statistics, Massachusetts became the first U.S. state to require factory inspections that included verifying, among other things, fire exits were in place at each facility. Other states quickly followed suit. By 1890, 21 states had some kind of law in the books limiting health hazards in the workplace. While these efforts were a step in the right direction, it was a messy assortment of laws and regulations. Rules differed from state to state and weren’t always enforced. States with more relaxed policies attracted businesses away from stricter states, and a push was made to scale back regulations. A back and forth progression began as the public demanded stricter laws and businesses fought to loosen them. The piecemeal assortment of regulations finally came to a head in December of 1970 when then-President Richard Nixon signed into law the Occupational Safety and Health Act, becoming the first far-reaching federal law to protect American workers. The law gave the U.S. government authority to write and enforce safety and health standards for nearly all of the country's workforce. Shortly after, the Occupational Safety and Health Administration (OSHA) was established to oversee the implementation of the new law. Improvements and additions to state and federal laws have been passed in the years since, expanding the role of occupational health and safety professionals and going further to ensure safe workspaces for all. Now, if you get injured on the job, you won’t go bankrupt thanks to workers’ compensation. Legal recourse is available against negligent or unsafe employers. Inspection and oversight regimes help identify unsafe conditions. 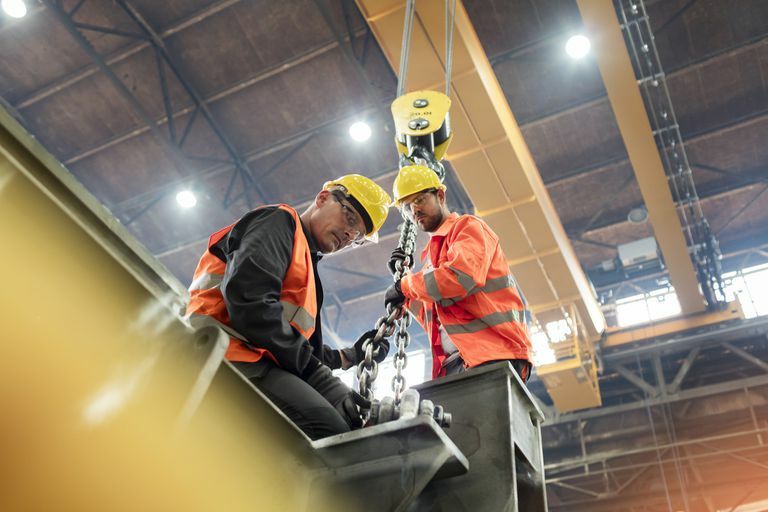 And modern data-driven workplace safety programs proactively identify risks and help employers tackle the underlying conditions that put workers in danger in the first place. While it's difficult to estimate the true impact of the law—we don't have a lot of data on workplace safety from the pre-OSHA days—it's estimated that the total number of workplace fatalities has decreased by more than 65 percent, despite dramatic increases in the country's workforce. The issues studied and regulated by occupational health and safety experts today vary widely by occupation. For example, physical threats like tall heights and heavy machinery might be of greater concern to construction workers, whereas mental health and repetitive stress injuries might be the focus of office environments. Even so, despite massive improvements to workplace standards, there are a number of safety and health concerns in America's workforce where much work can be done. Hundreds of people in the United States die from falls each year. It's the leading cause of fatalities among construction workers—yet almost entirely preventable. For many builders, working from tall heights is unavoidable, but with proper safety precautions, deaths and injuries can be avoided. These precautions should start before the work even begins during the earliest part of the planning stages. Employers should include the cost of safety equipment, like harnesses, scaffolds, and fall arrest systems, into the project's work estimate, so that every worker has access to and is trained to use the equipment he or she needs. According to OSHA, dozens of workers die every year from working in extreme heat or humid conditions, and thousands more become ill. The biggest proportion of these instances happen in the construction industry, but it can happen to anyone working in an environment that isn't properly climate controlled. Employers are legally obligated under federal law to ensure that work environments are free from safety hazards, and that includes extreme temperatures. For its part, OSHA is encouraging business owners and managers to protect their workers from heat-related illness and injury through a messaging campaign that encourages them to provide water, rest, and shade to all employees—especially when the heat index is 91 degrees Fahrenheit or higher. An emerging area of concern related to occupation health is injuries caused by poor posture and repetitive motions. Many U.S. workers work almost exclusively on computers, mousing and typing for hours on end, resulting in the overuse of certain muscles and joints. This type of repetitive activities day in and day out can cause injuries, such as carpal tunnel and even eye strain. The tendency of modern workers to also use poor posture while using electronic devices (both on and off the clock) can also contribute to long-term pain, lost productivity, and medical costs. Many employers find that investing in ergonomics and office-based safety initiatives (such as targeting slips, trips, and falls) actually has a positive return on investment once lost productivity and employer medical costs are considered. As the workforce has moved from manual labor to desk jobs, the U.S. population has become increasingly sedentary. Office workers often sit for hours at a time during work hours—not to mention during their daily commute and leisure time. But a sedentary lifestyle can have major consequences for your health, including increasing your risk for obesity, blood clots, and death. It's no surprise then that, according to the Centers for Disease Control and Prevention, only about a third of adults get the bare minimum of exercise recommended to protect your health—about 30 minutes of moderate activity, five days a week. Even that, however, might not be sufficient to stave off the risks of being tied to a desk. One study found that those who sat for a cumulative 12.5 hours per day (not outside the realm of possibility for commuting office workers who like to relax on the couch) were more likely to die from all causes than those who were more active, moving around at least every 30 minutes. This was the case regardless of whether individuals worked out regularly. Sitting for too long too often can have devastating consequences over time. Many people envision workplace safety primarily in terms of traditionally risky industries like construction, deep-sea fishing, or logging. Indeed, these sectors experience some of the highest fatal accident numbers for U.S. workers. However, non-fatal injuries and illnesses tell a significantly different story. Nursing assistants, for example, experience some of the highest rates of lost-time injury due to violence caused by unstable patients in their care. In fact, rates of workplace violence in state-run nursing or residential facilities in the United States is twice that of state-run police forces and nearly four times that of those working in the logging industry. These injuries can result in significant losses to productivity, as more than half of these injuries result in days away from work—not to mention the added burden of treatment costs and human pain.